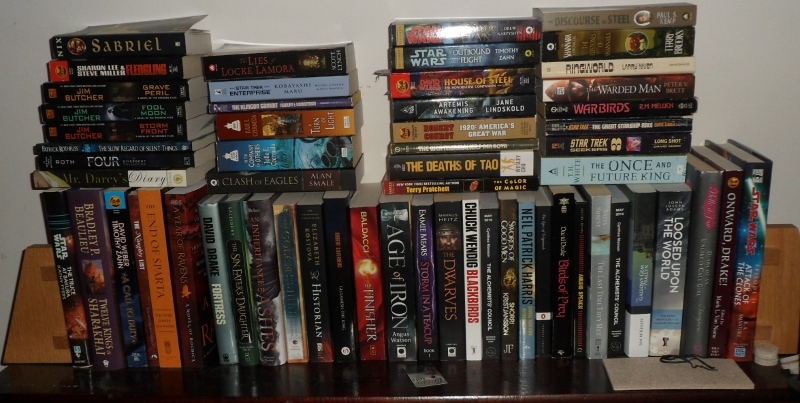 Helen loves Theseus: Goodreads Giveaway and the Out of Control TBR pile! 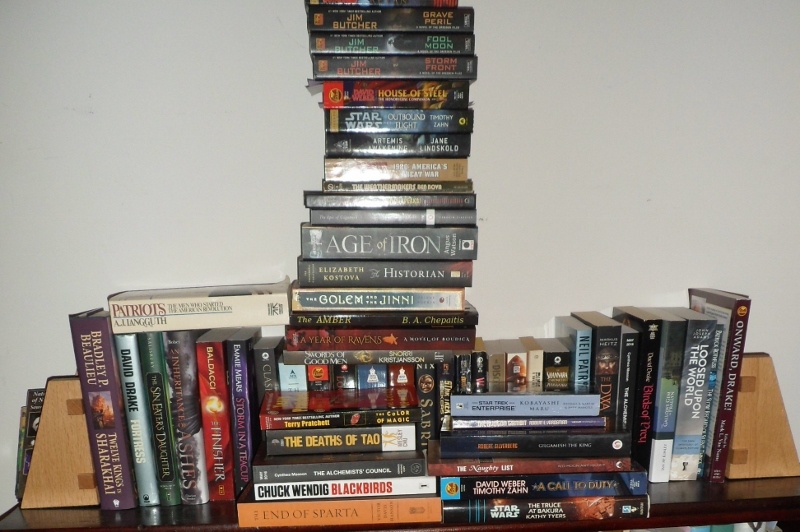 Goodreads Giveaway and the Out of Control TBR pile! I'm afraid I need to keep this brief because a) I lost power today and subsequently my ability to write this post before the absolute last minute and b) either I have the world's worst allergies to something blowing around in the wild blue yonder or I'm getting one of those totally sucktastic summer colds -- whichever it is, I am sneezing every sentence or so and it is suuuuper unpleasant. DAUGHTER OF A THOUSAND YEARS is on Goodreads! If you're interested in adding it. And if you're not following author me, now's a great time to get in on some of my behind the scenes updates as I proof not just DAUGHTER but also TAMER OF HORSES in the next few weeks! I'm giving away a SIGNED copy of BY HELEN'S HAND on Goodreads this week! Since the HELEN OF SPARTA paperback is still on sale, it just seemed like it was only fair. But don't miss out -- enter to win!! 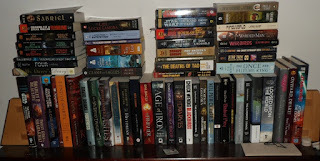 Still shelving books and taming the TBR tower! And I have now expanded to reorganizing my bedroom! Because -- well, because these are the things that need doing, and when better than while I wait for proofs to arrive? Honestly, if I don't tackle this stuff in between projects, they get lost in the shuffle, so I'm diving in. I know I keep saying we'll have cover art soon -- it's still true. I just saw the final final final concept for DAUGHTER OF A THOUSAND YEARS and it is GORGEOUS. That art is most likely going to go live on the Amazon detail page FIRST (Yes! You can Pre-order! There should be audio formats, too, upon release! ), but I'll post it here too as soon as I'm able! And now I'm back to nursing my nose. I'm honestly not sure whether I should be hoping this is a cold or allergies. Whatever means it ends sooner! thanks for the great article. hope you are feeling better soon! Daughter of a Thousand Years has Cover Art!